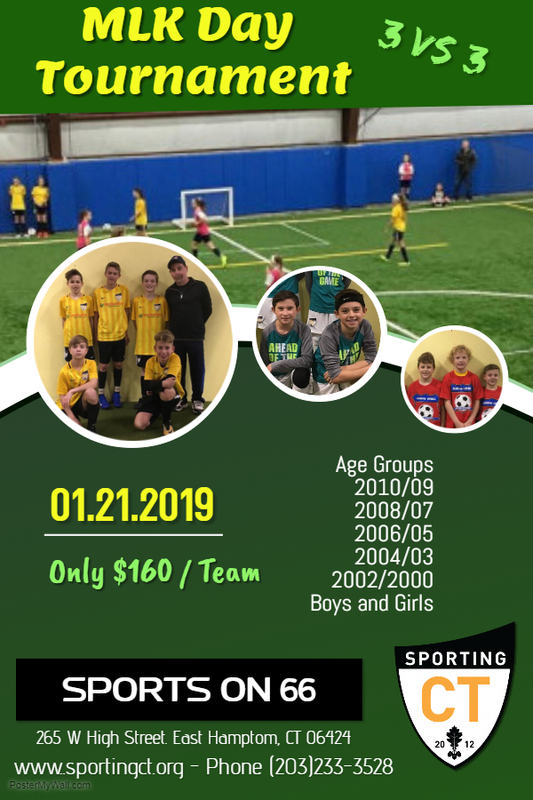 Please join us for Sporting CT MLK Day tournament January 21st, 2019 at Sports on 66 arena 265 W. High street East Hampton CT.
Age group provided for tournament are 2009/10, 2007/08, 2005/06,2004/03 and 2002/2000 boys and girls. 3 games guaranteed plus playoff finals for best two teams. Minimum 4 and max 6 players per team.Registration closed on Friday January 18th 2018.